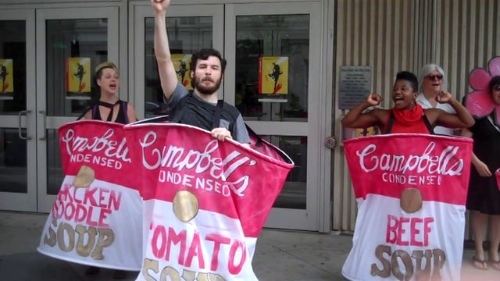 Campbell's Soup can. The start. Opera Philadelphia chorus as Andy, Andy and Andy. Teaser for the production around town. Sean Lally does an incomparable banana strip. Andy was an Edie wannabe. 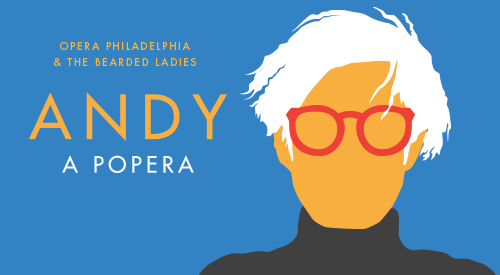 Cast: Malgorzata Kasprzycka (Julia Warhol), Mary Tuomanen (Andrei), Kristin Bailey (Edith), Scott McPheeters (Candy), Kate Raines (Valerie), Sean Lally (Joe), Members of the Opera Philadelphia Chorus (Andys). Production: Daniel Perelstein (Sound Director), Jorge Cousineau (Video Design), Oona Curley (Set Design), Rebecca Kanach (Costume Design), Mike Inwood (Lighting Design), Elizabeth Braden (Chorus Master). What opera would appeal to an audience who’s been brought up in Andy-world? Warhol has written that once you get Pop you can never see a sign in the same way again. 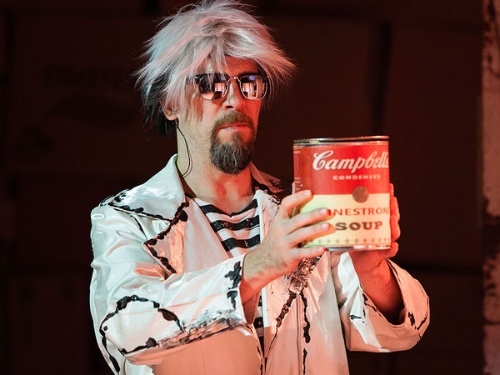 Andy the opera gives us Campbell’s Soup, Coke, Marilyn, Brillo and a banana to contemplate. Andy objects, magnified and repeated by him in real life. This is the perfect fodder for a modern opera. The general director of Opera Philadelphia and the artistic director of the Bearded Ladies, a hip Philadelphia cabaret group, met in yoga class. Of course. Isabel Leonard does it, Alan Gilbert tried, Natalie Dessay, Lady Gaga, you name them. Opera is at yoga and so is contemporary music. Andy, the opera, opens like a twelve-step meeting, but confessional is soon left behind. 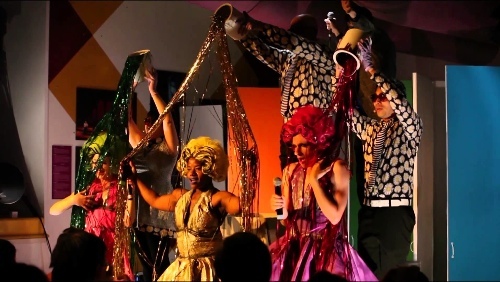 The mash up between classic opera and cabaret provided several special opportunities. Voices trained for opera could contrast with pop voices. The audience, usually held at a distance in grand opera, now becomes part of the story, as characters move through the aisles talking to people and coaxing some into selfies and commentary. Selfies are an important part of Andy. Program notes encourage the taking of photographs throughout the performance. Running videos above the center of the set often give a selfie-in-motion of a character. Warhol did some selfies, but mostly he was looking out at the world, observing. His living room at The Factory became the place to be while he reigned in New York. A party at the end of Act I shows us why. 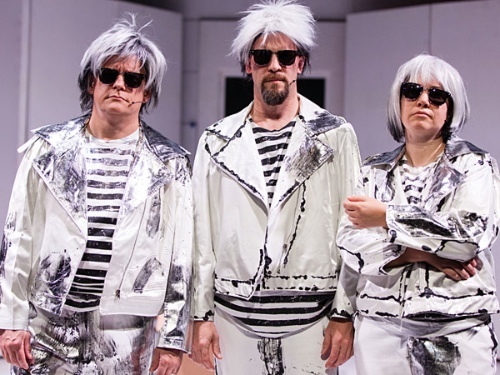 Composers Heath Allen and Dan Visconti capture the magnification and repetitions of Warhol’s visual vocabulary in the libretto and the music. Words are often exaggerated and repeated. 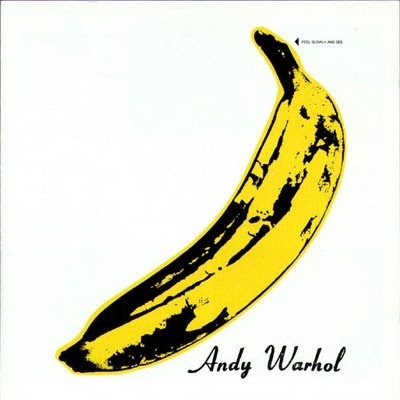 From the opening “OO-AH-OH WOW” to the last “There Is Nothing There” the composers pick up words that match the Warhol sensibility. So too does the music. There are references to classic opera: Tosca and Carmen can be heard in the score. The entire work is a comment on opera. When Valerie Solanis takes out her gun and shoots Andy, she says the opera has begun, because death is involved. Think about it. Can you name an opera that doesn’t involved death? Unless it’s funny. The audience re-enters the ‘Factory’ through Warhol’s hospital room as the beginning of the second Act. Dona nobis pacem is sung by the chorus. We sometimes forget that Andy went to mass every day. He was a good Catholic and a mama’s boy. Mrs. Julia Warhola lived with her son for the last twenty years of her life. Giving birth to Andy was difficult. He emerged from a box. The box would become Brillo. Malgorzata Kasprzycka is an inspired piece of casting as Andy’s Mama. Polish by birth, Kasprzycka now wanders the world from her home in Paris. She physicalizes Julia, often busy tucked in her kitchen high up warehouse left, but also fluttering over the stage and through the warehouse protecting her son and admiring him too. Kasmrzycka is said to like stages of all kinds, and clearly enjoys The Factory insert in a Philadelphia warehouse. Andy’s androgyny is captured by Mary Tuomanen, who also comes to the role bringing may different dimensions. She has been described as having the quiet of Hamlet and the impassioned commitment of Joan of Arc. Andy becomes a chorus of Andy’s on the stage, each representing a different piece of his personality. But Tuomanen’s prime piece is always front and forward. She has a lovely, inviting voice, which is both male and female. 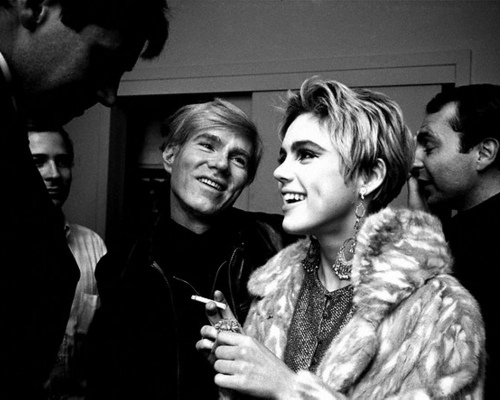 Truman Capote said that Andy would have liked to have been Edie Sedgwick, a charming, well-born debutante from Boston. Their images are often paired in the opera. Repetition can be Marilyn on Marilyn on Marilyn, or it can be the variations of Andy. Members of the Opera Philadelphia Chorus are the multiple Andys. It is in the repetitions of words and music and image that Andy best captures the world of The Factory. Kitsch when Marilyn, as a black man, sings Happy Birthday to President Kennedy, or Candy Darling dons a robin’s egg blue boa and wails. Also moving, because Andy is really a decent sort, attracting and caring for many lost souls. Valerie created marvelously by Kate Raines, takes over. This is going to be her opera now. Valerie was furious at Andy because he had rejected a play she offered him and then he lost her manuscript. So inside Andy we have Valerie’s opera. Andy is a daring proposition and the collaborators meet the challenge. The set is wonderful, both in its confinement in boxes, and the stacked boxes of Andy’s daily detritus along the walls, and its extension into the warehouse. Mirrors, the silver Andy so loved, dashing costumes, minimal and maximal, all contribute to the moment, or the fifteen minutes when these people were famous. 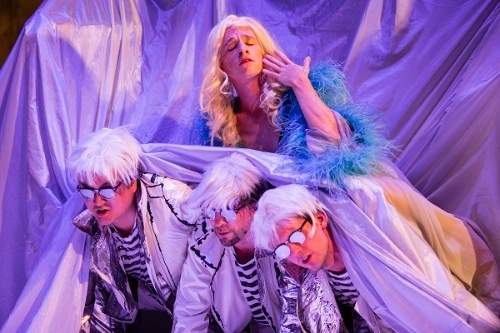 Is this the future of opera? It is certainly one of its futures. 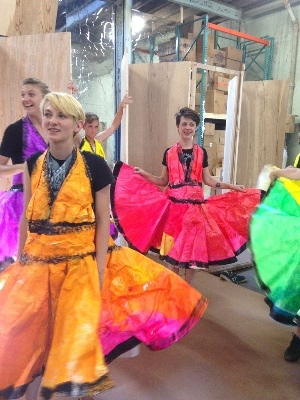 In a packed warehouse, an audience of mixed ages and ethnicities had one terrific evening. Opera is drama to music and through composed. Andy certainly meets this definition and then some. The audience outreach is a particularly intriguing idea. Could you stop Tosca as she runs up the stage and ask the audience if she should jump? Take an instant poll? Umm. At the very least we can mount stories that have meaning for a ‘now’ audience and invite participation. Opera Philadelphia and The Bearded Ladies have done just this. Do it in New York, Gotham!